August 28, 2013 - Pan Am International Flight Academy and Pan Am Holdings, Inc. (collectively “Pan Am”) announced it has been purchased by ANA Holdings, the parent company of All Nippon Airways Co. Ltd, one of the leading airlines in the world for $139.5 million. The transaction closed on August 22. The combination of Pan Am and All Nippon Airways makes for a strong partnership and positions the new entity to meet the increasing demand for pilots worldwide. 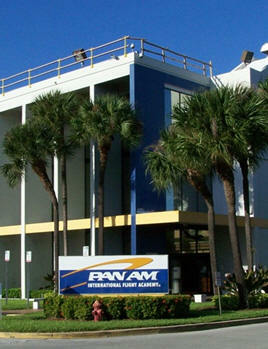 Pan Am is one of the world’s largest providers of flight simulation and aviation training services. Airlines and individuals from across the globe, including North and South America, Europe and Asia utilize on Pan Am for flight training services. All Nippon Airways plans to expand Pan Am into Asia by providing training to other Asian airlines, partner firms and subsidiaries. With air travel expected to double within the next 30 years, with much of the growth occurring in Asia, the company is poised to capture opportunities and create an additional source of steady revenue for the Airline. Pan Am CEO, Mr. Vito Cutrone states, “This is a very exciting time for Pan Am. We feel certain that working with our new owners at ANA will bring new and profitable opportunities for Pan Am's continued growth, and particularly new opportunities for the employees of Pan Am. Pan Am International Flight Academy, headquartered in Miami, FL, has its origins in Pan American World Airways as its original training division, and operates under one of the most recognized brands in the world. Pan Am was established as the pilot training division of Pan American World Airways in 1980. Following the bankruptcy of Pan Am World Airways, Pan Am has continued its operation as an independent training services provider. The company provides flight simulation and training on all the leading aircraft types, operating nine training facilities in the U.S. and abroad, with more than 200 aviation training programs available. Pan Am Training Centers: Miami, Memphis, Minneapolis, Denver, Las Vegas, Europe and Tokyo. ANA is a holding company that includes the shares of other companies such as All Nippon Airways Co., Ltd, low cost carrier Peach Aviation Limited, and trading company All Nippon Airways Trading Co., Ltd. ANA has an established presence in pilot training services through panda Flight Academy Inc., which was established in 2011.